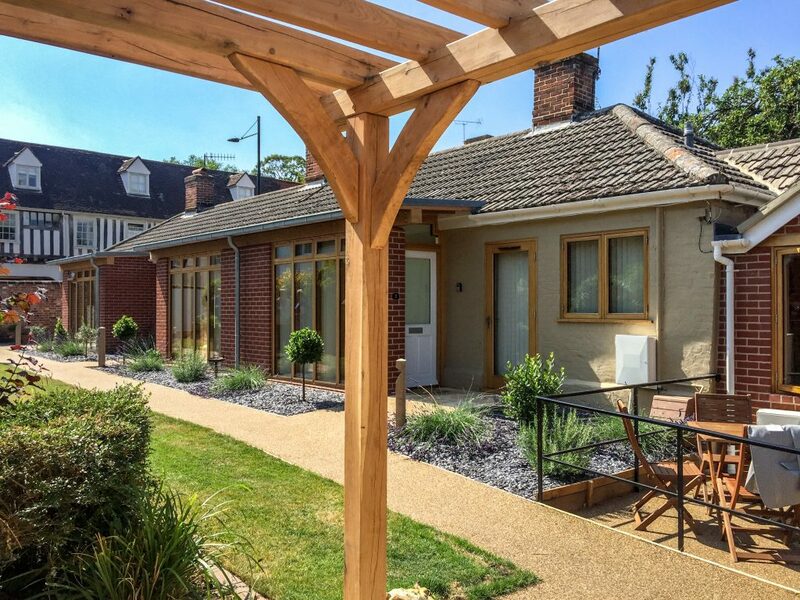 A complete refurbishment of a series of Almshouses within Bury St Edmunds. The proposals incorporating a series of oak framed zinc clad porches which increased the living area and dramatically improved the amount of light into these areas. To the centre of the almshouses an oak framed garden room forms a communal space for the enjoyment of the residents. A complete refurbishment of the heating system, kitchens and decorations has provided up-to-date facilities including level access and landscaped gardens.